Nature abhors a vacuum, and Renée Carleton abhors a need. Carleton is a dedicated humane-itarian by heart and as such is the vivacious founder of The Pet Food Bank, a 501(c)(3) nonprofit that provides shelters and rescues with much-needed food for cats, dogs and other pets. The Bank also distributes pet medication, toys, bedding and cleaning supplies for the animals and the facilities. This all runs into money for animal rescuers, and it’s Carleton’s mission to fill the needs. Carleton was inspired to begin her enterprise 20 years ago when she was volunteering for the Friends for Pets Foundation in Sun Valley. FFP, another all-volunteer nonprofit, provides veterinary care and adoptive homes for sporting breeds, particularly Weimaraners, Dalmatians and retriever dogs, and Carleton quickly became aware of how hard it was for nonprofits to obtain food and other supplies. 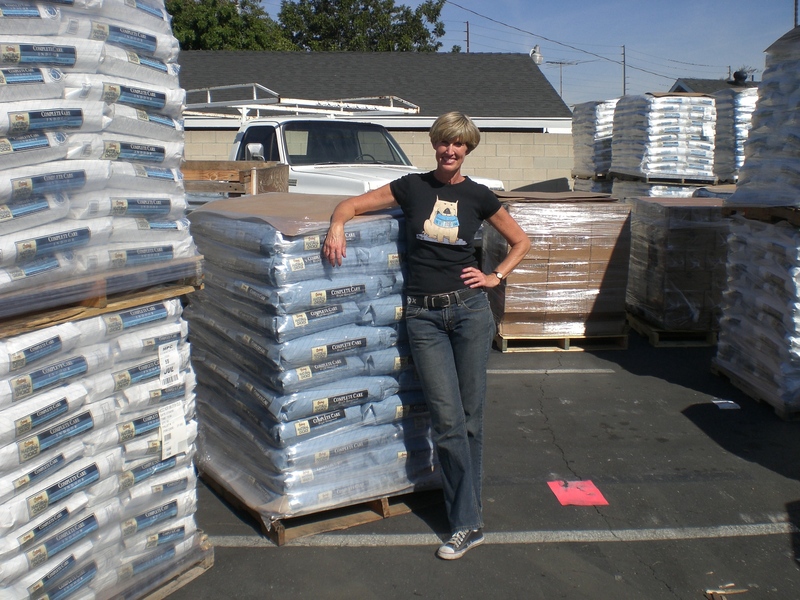 Soon after that, the Pet Food Bank opened its doors in Carleton’s Seal Beach garage. 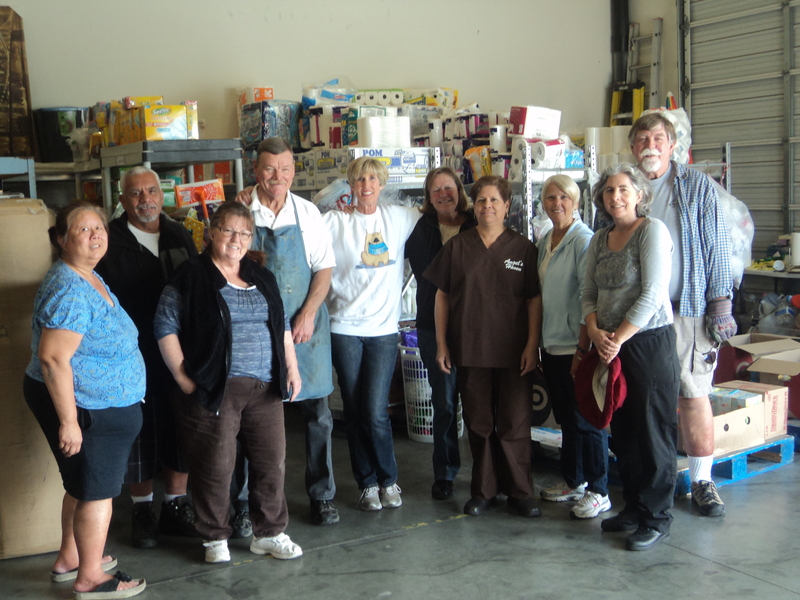 Like Food Finders, another übergiver rooted in Seal Beach, Carleton first obtained the pet food from donations and out-of-date and torn bags that otherwise would have been tossed out. 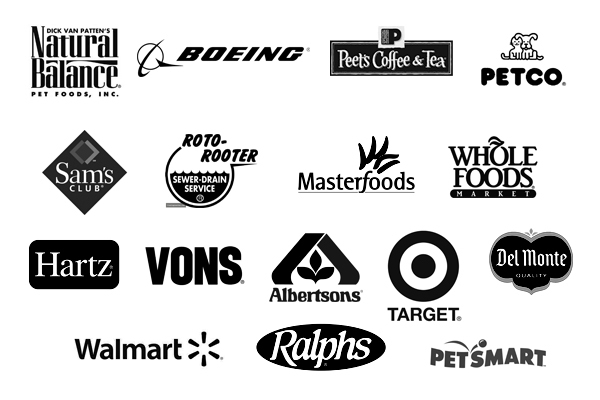 The Pet Food Bank in turn gave the food to local rescues and has since expanded its benevolence from California to shelters in Arizona, New Mexico, Nevada and Mexico. It wasn’t long before Carleton realized that, with 35 truckloads of pet food at one time in her garage, she needed more space. An opportunity came up in the form of a sublet warehouse in an industrial area in Westminster, where the Pet Food Bank’s now been for about three years. As supplies and donations began coming in, Carleton materialized a couple of forklifts, one donated by the Orange County Daily Pilot and the other by a business owner from Santa Fe Springs as a result of an e-mail Carleton sent to KROC’s Kevin and Bean. Those forklifts come in handy in the 7,000-square-foot building. Inside is a fairy godmother’s warehouse. Divided neatly into categorized stacks and pallets are cleaners, bleach and detergents—“Bleach and detergent are like gold to us,” Carleton said—not to mention batteries, trash bags, gloves, medical supplies, pet clothes, blankies, towels, air freshener, beds, hoses, furniture, crockpots, umbrellas, heaters, fans, kids’ toys, baby items, vacuums, mops and toiletries. At one time or another, there surely was a kitchen sink. Wait a minute—this is a pet food bank? Yes, there are tons of kitty comestibles and doggie dinners, and there’s also a huge number of items that rescues may not have but surely need—air conditioners and swamp coolers for the animals’ comfort as well as that of their caregivers, beds for rescue volunteers who stay the night, and freezers of food for barbecues and raffle items for fund-raisers. And there are also products for people in need. Carleton gets showroom demo furniture from sources like Sam’s Club, and she is given toys, clothing, toiletries, nonperishable food and other things by sponsors like Target, Walmart and Vons. These go to such organizations as Toys 4 Tots, Alzheimer’s care housing, veteran groups, homeless charities, and even Camp Pendleton. The “people stuff” is a direct outgrowth of Carleton’s helpers who volunteer for other causes, mainly human, and Carleton can’t say no when one someone talks about a project beyond the rescue fringe. “I’m big on helping people where there’s a need,” Carleton said. “I’m not turning something down. If someone’s remodeling and has a washer/dryer, I can find a home for it. We never say no.” The Bank recently furnished a family’s entire home. Carleton’s philanthropy finds outlets everywhere—one of her volunteers’ kid’s soccer team needing uniforms, soda and water for Westminster’s Concerts in the Park, something Carleton reads about in the paper. And there’ll always be something in that warehouse to fill it. So much for screeds about animal-welfare activists not giving a crap about people. The Pet Food Bank serves 300 animal and 30 human charities, and making a large-scale operation work is no walk in the park, even with the volunteers and stalwart sponsors on the leash. There are significant expenses as well as time and energy to managing the storage and flow of goods. And Carleton works as a hairdresser, which takes up her own human resources. Public donations for man and beast, all of which are tax deductible, are always welcome and appreciated, as is paws-on-the-ground help. The bank is currently collecting funds to purchase a truck, and The Pet Food Bank always needs gas cards to help with the considerable cost of running them. Medical supplies and staples, building equipment, and food are needed, too. Check the wish list on the website to see how to keep the bank in the green. Rent, Carleton says, is the biggest expense, and the bank may be in need of a particular bailout in a few months. The company that owns the warehouse where the Pet Food Bank operates has sold the entire building, and Carleton needs to find another location. Based on their finances, subletting is a requirement. If someone, somewhere close can provide such a space, Renée Carleton will full well make sure that good things continue to happen. “I hate to see a need,” she said.